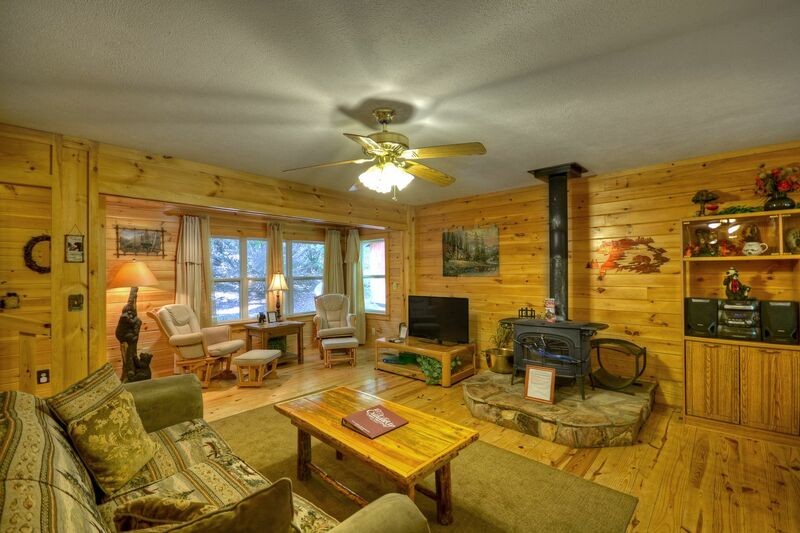 Inside the cabin is a wood burning stove to you nice and toasty on crisp fall nights and cool winter days. 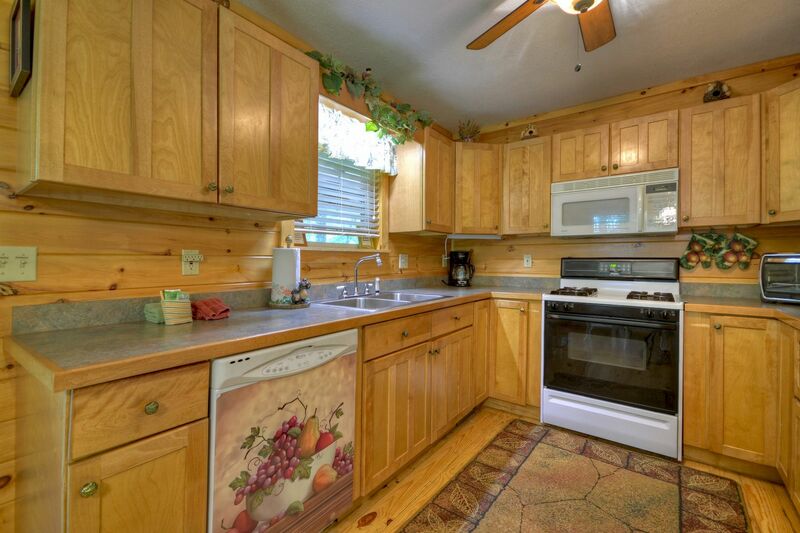 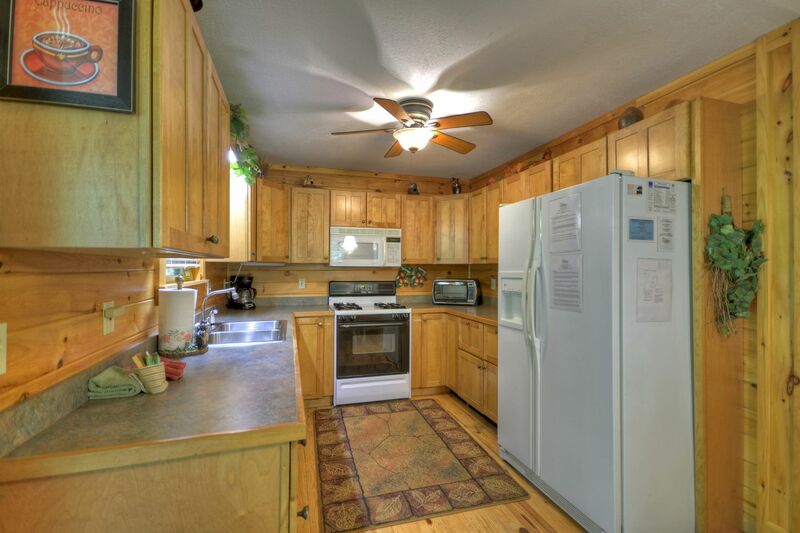 It comes with a fully stocked kitchen with all the utensils you need to whip up a tasty family meal. 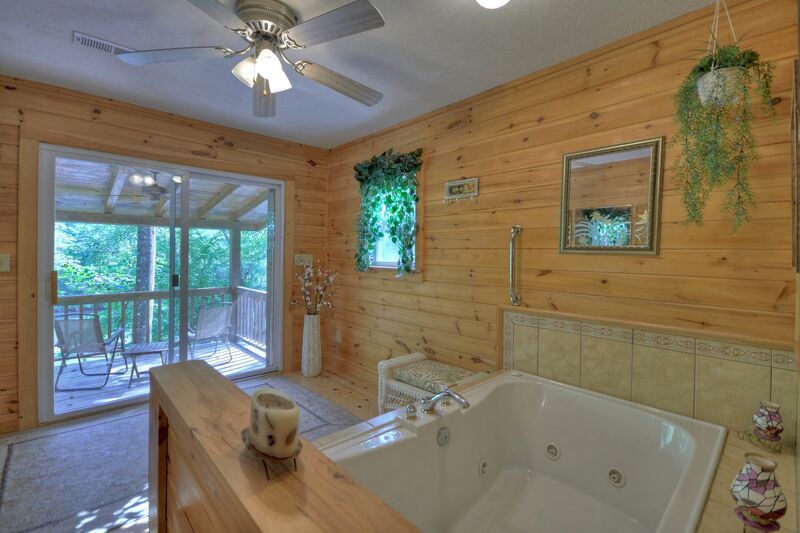 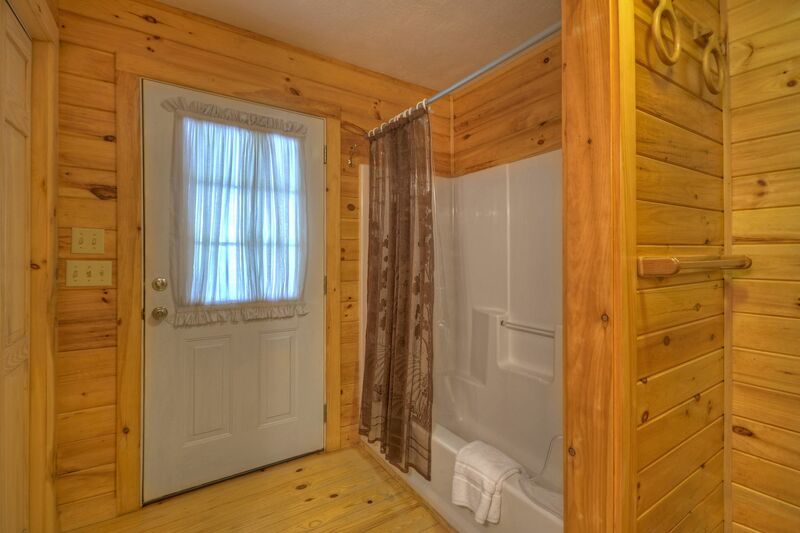 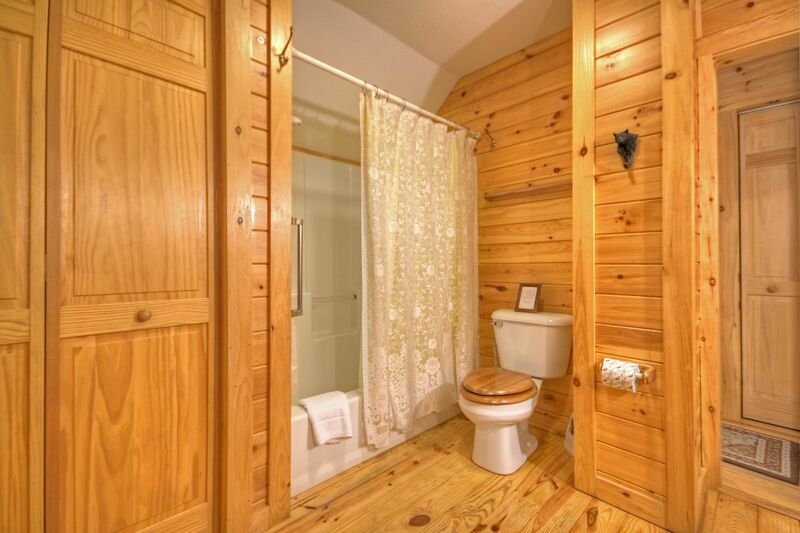 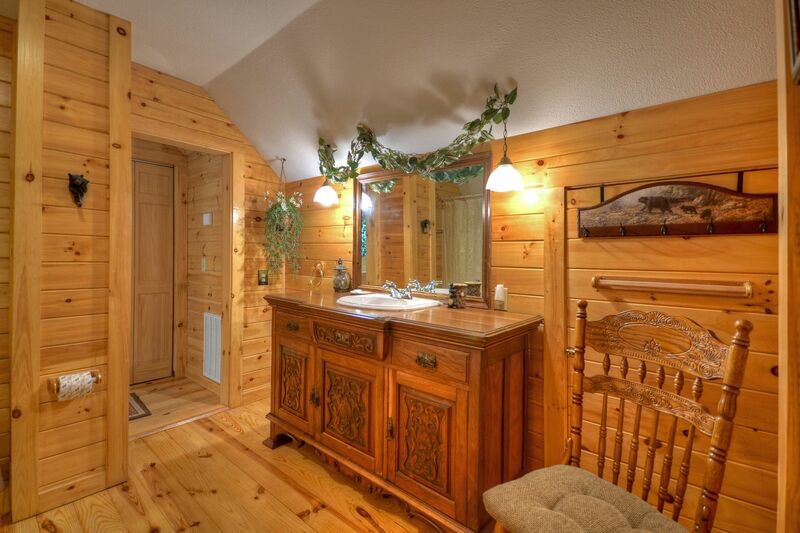 The upper level of this cabin rental is dedicated to the elegant master suite with a relaxing Jacuzzi tub overlooking the river, and a private balcony for your morning coffee. 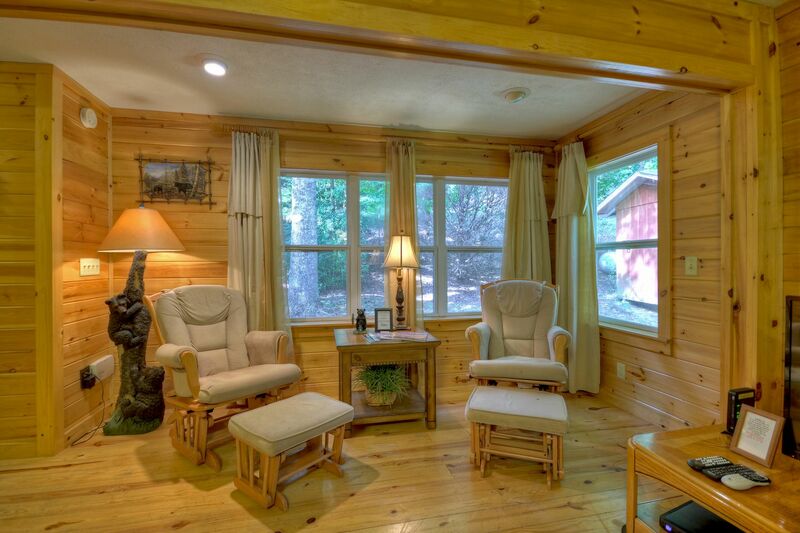 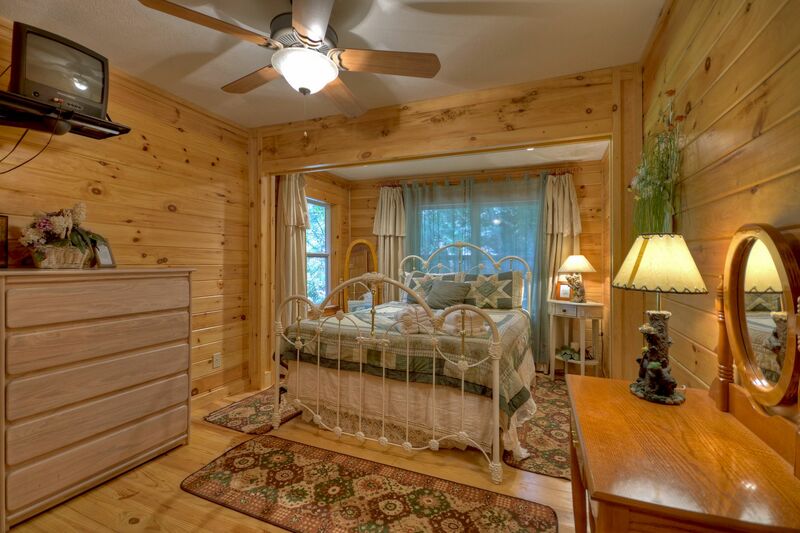 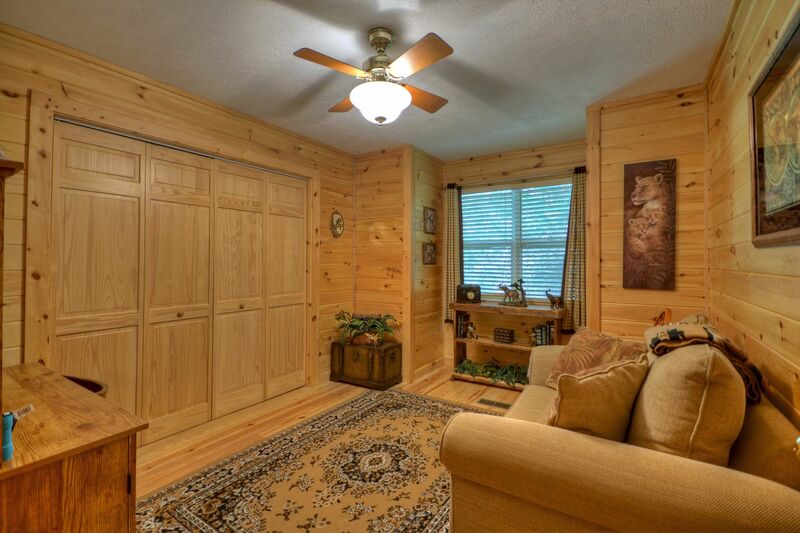 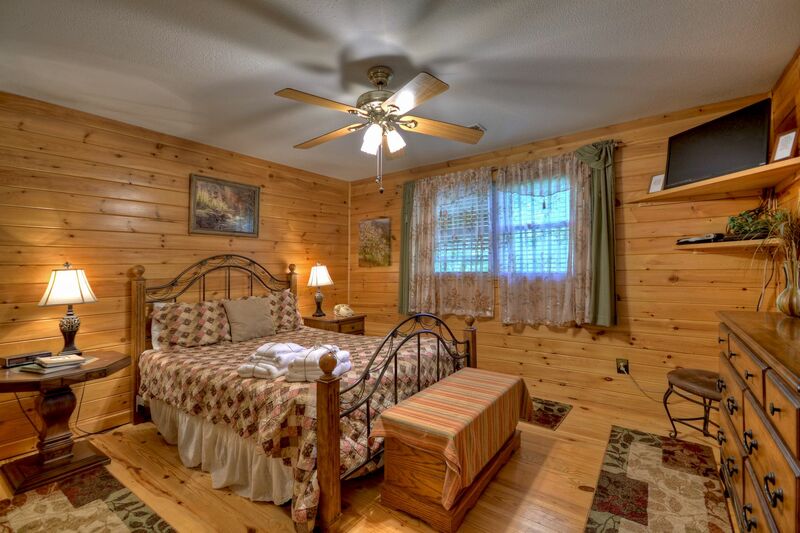 Toccoa River Escape is furnished with comfort in mind with a plush sofa and easy chair and graceful iron beds in lieu of the traditional log and rustic motif. 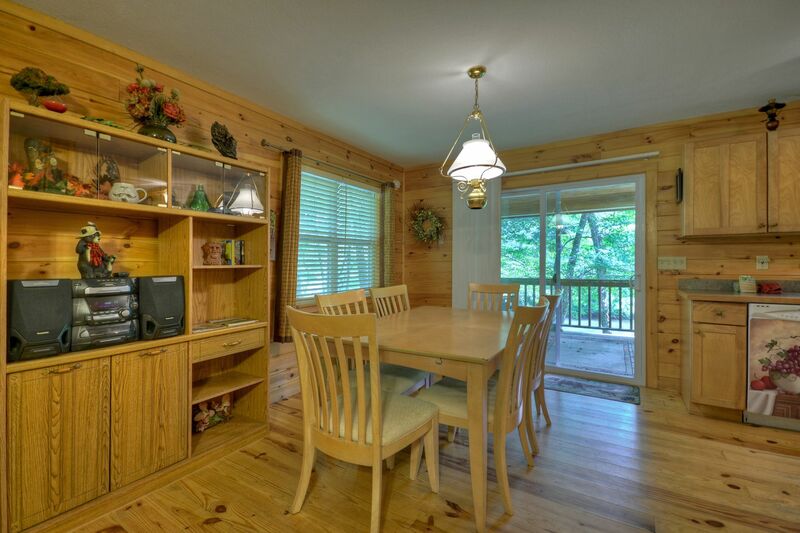 The cabin`s lush level lot leaves room for kids to explore and its prime location only minutes from countless rafting companies on the Ocoee River and some of the best tubing down the lazy Toccoa makes it a great vacation destination for those who want to be close to it all but still secluded enough to be in the country. 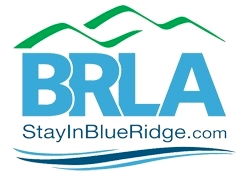 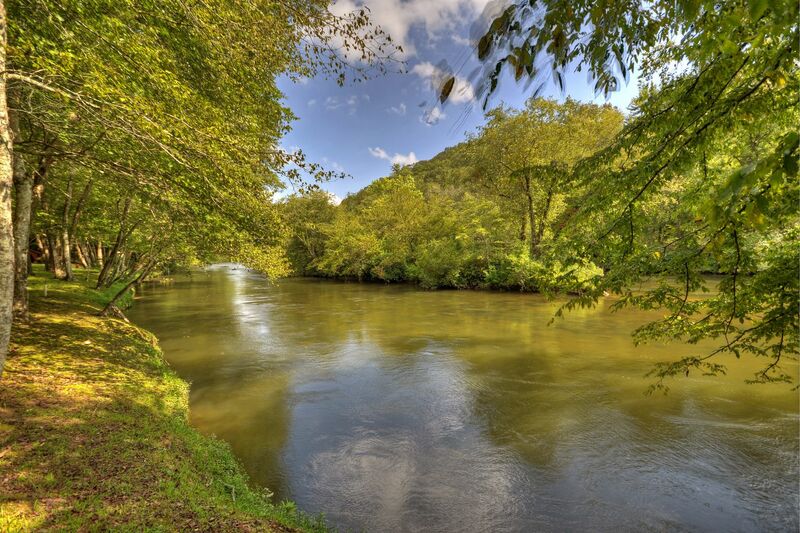 Passengers on the Blue Ridge Scenic Railway enjoy the beautiful view of Toccoa River Escape perched above the sparkling Toccoa River throughout the year. 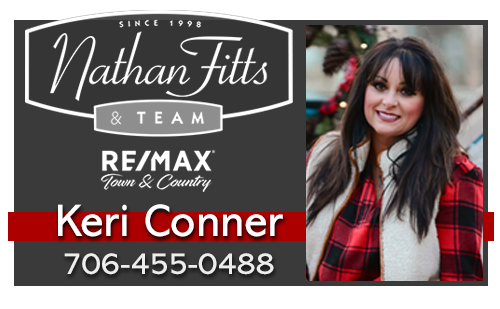 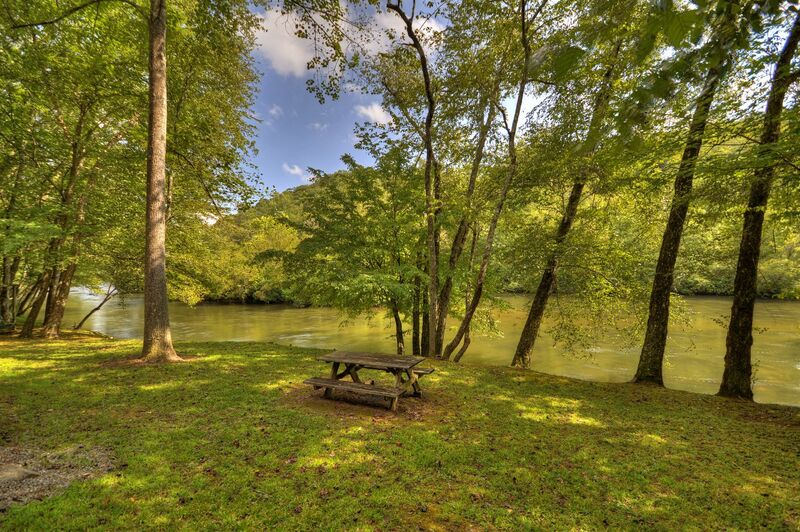 This is especially the case during the special holiday routes in December when Toccoa and its neighbors lining the river bank string lights, holly, and garland for the train as it winds across the Toccoa`s opposite bank. 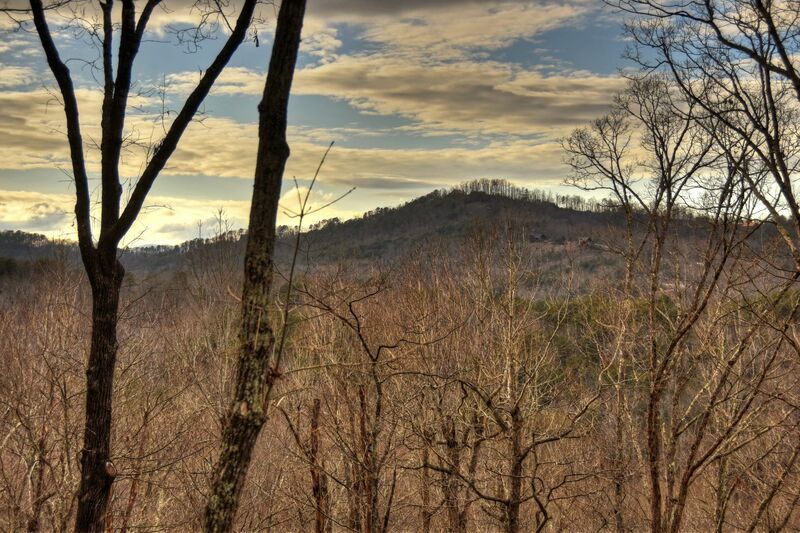 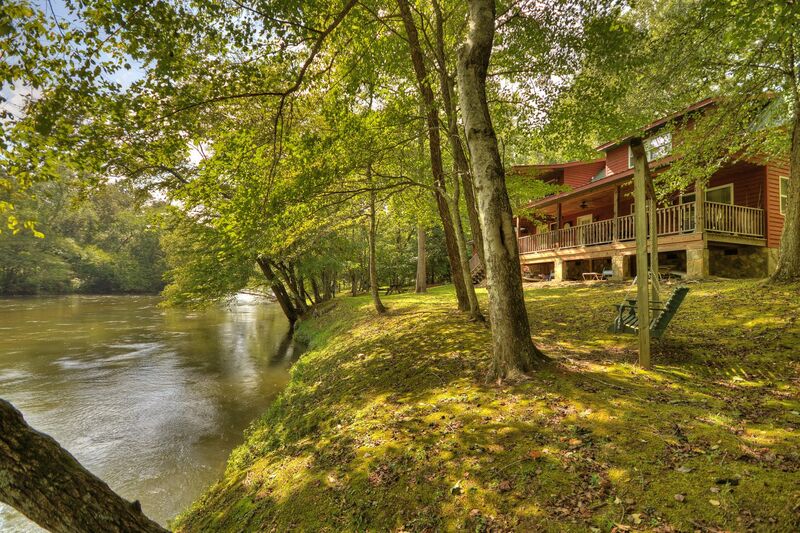 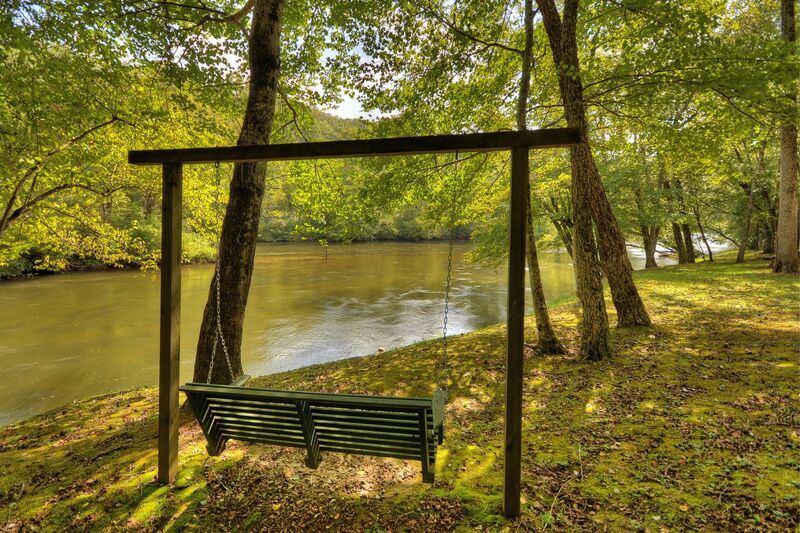 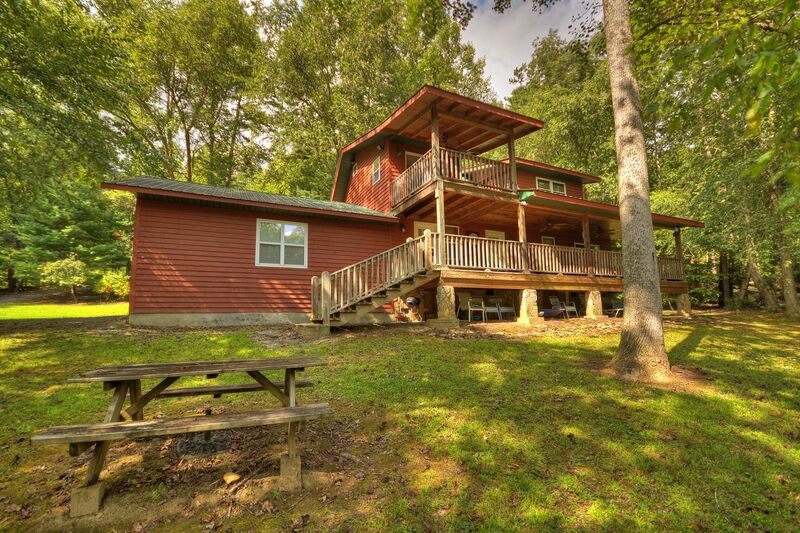 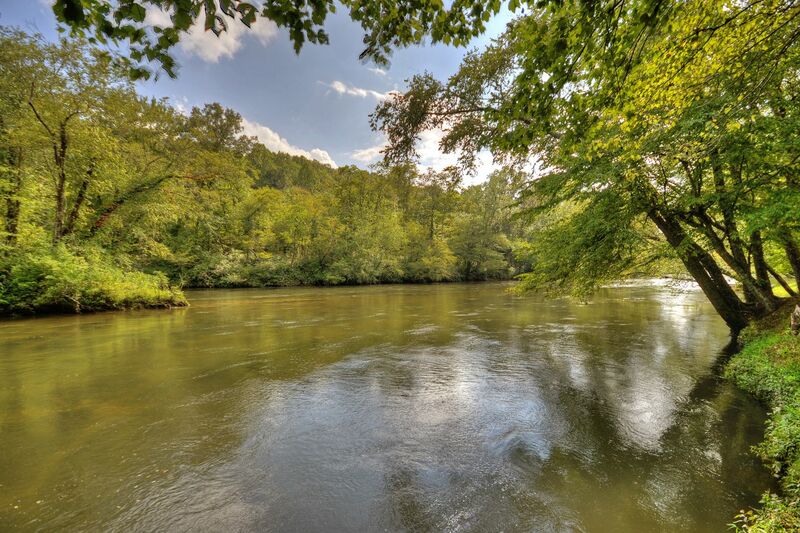 With its prime location, beautiful waterfront lot, and tranquil atmosphere Toccoa River Escape is a unique North Georgia Mountain retreat! 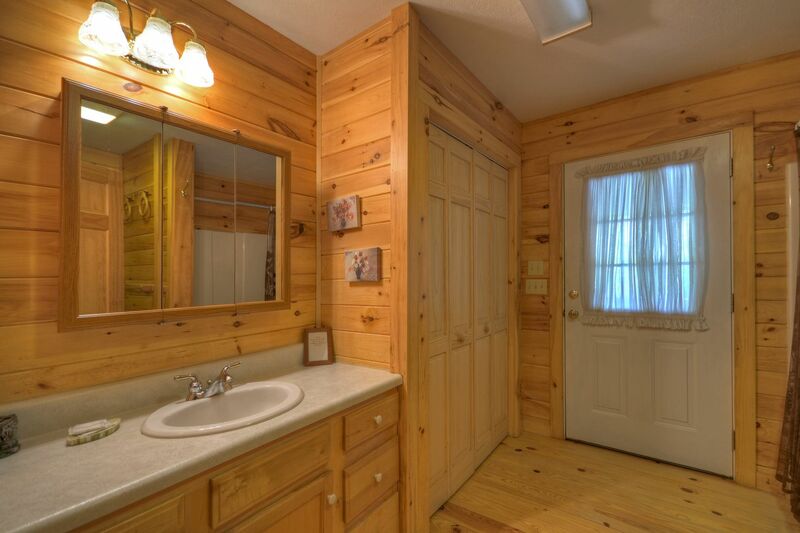 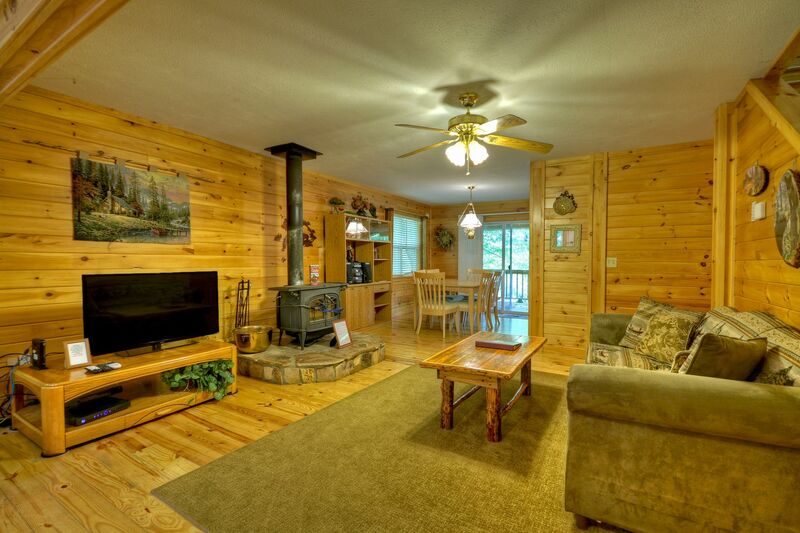 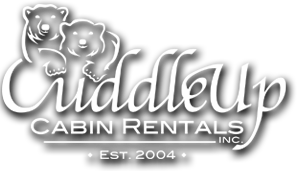 The cabin is really nice and clean with easy river access for tubing or canoe launch. 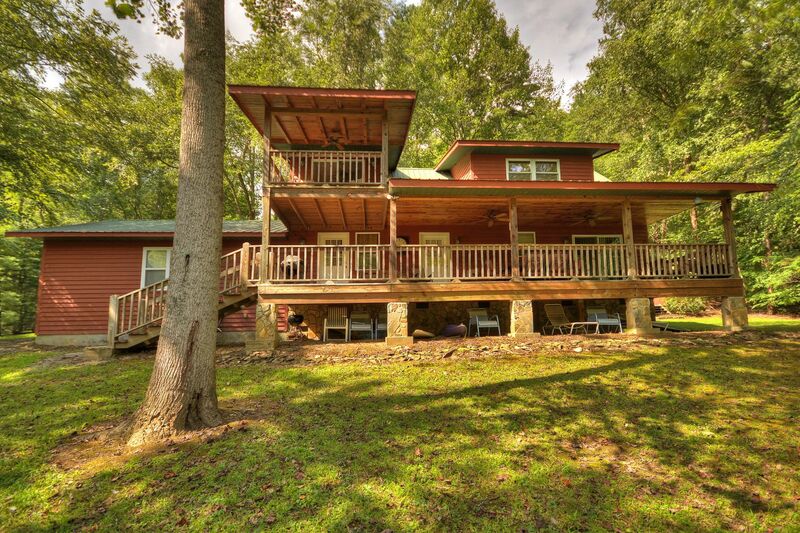 The driveway provide easy entrance and exit. 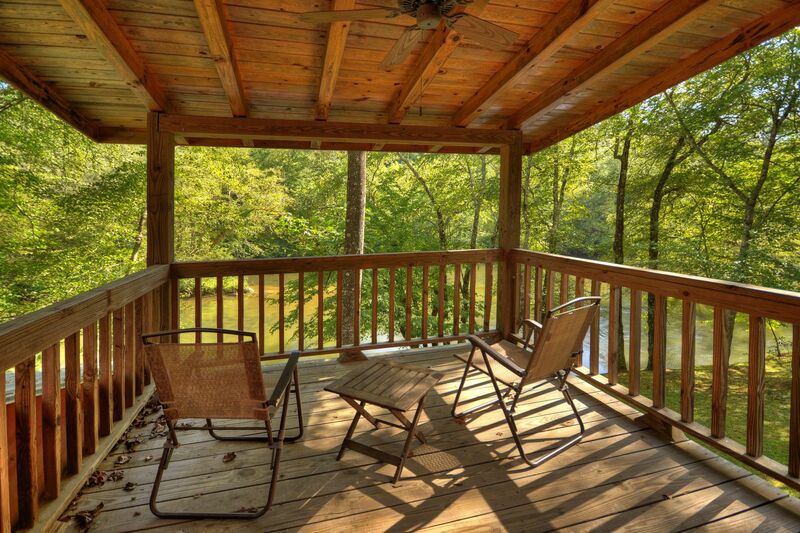 Overall nice place to relax for the week or weekend.